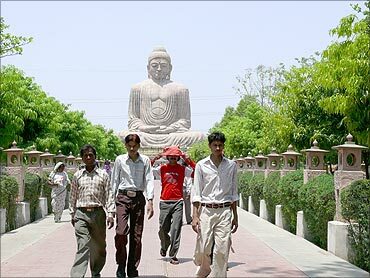 In the fifth edition of 'Samriddhi', organised by Business Standard, the Bihar government and the business people of the state came together to make the land of Lord Buddha, the high seat of learning in the past, one of the most developed in the country in the next few years. Bihar is poised to be the next biggest attraction for industries in the country. 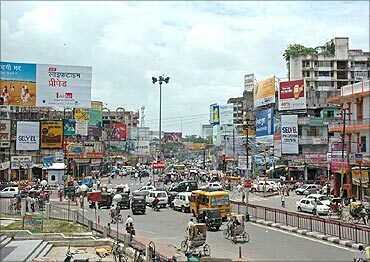 With a growth rate of above 10 per cent, today major national and international companies are making a beeline to enter Bihar. Local entrepreneurs and the state government are also more than happy to welcome them to the state. 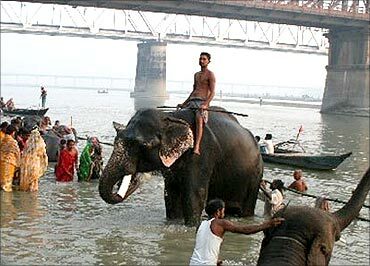 Photographs, courtesy: Bihar State Tourism Development Corporation. 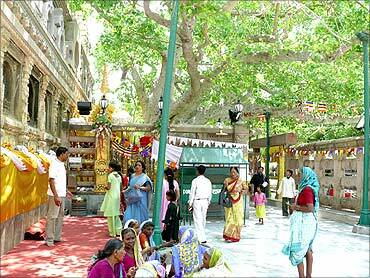 Image: The land of Lord Buddha. In the fifth edition of 'Samriddhi', an event organised by Business Standard Hindi daily, businessmen and the government seemed to be united to make Bihar a developed state in the next few years. The chief guest of the event Chief Minister Nitish Kumar gave many useful advices to make that possible. "Local entrepreneurs hold the key for development. They have to make the first move. 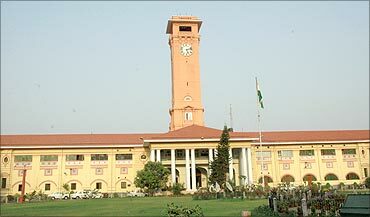 Then only outsiders will come to the state with investment," said the chief minister. He added: "Until they are assured about stable development, big business houses will remain shy." 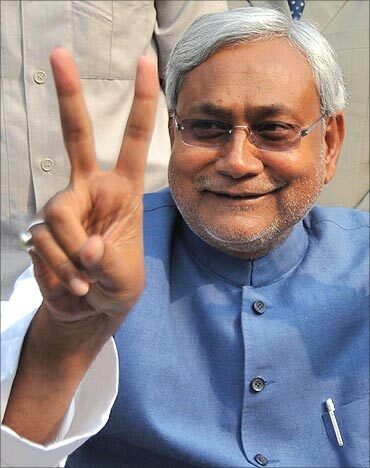 Image: Chief Minister Nitish Kumar. Speaking about the law and order situation in the state, he said: "When we took the reins of the state, our first priority was the basic law and order situation. We took out the fear from the mind of the common man. There was never a drought of money in Bihar. 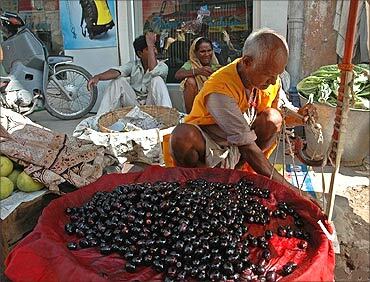 There were businesses and people used to earn good also," said Nitish Kumar. "However, lack of security and poor law and order situation was a problem. Businessmen migrated from the state. We tackled this problem and provided them proper security. Image: Bill Gates (L) interacts with a villager in Aulali village, in Bihar. Now, they can spend money at their will. You will find numerous expensive cars on the roads of Bihar. Earlier, buying Maruti 800 was such a big problem. Today, nobody who has money thinks twice before buying a Toyota SUV. The situation has changed. Now people want to come back to Bihar. Investors are searching for new avenues to invest here." 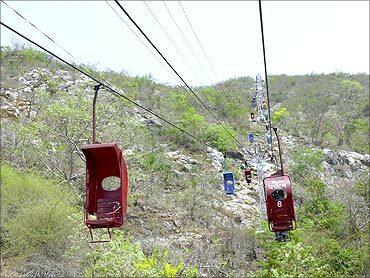 The chief minister also said: "We have also started to invest heavily on roads. No nation and state can develop without good network of roads. Everybody needs a good road. Good network of roads ensure fast human development. Children can go to school and patients can get better treatment. Farmers can get better money for their produce and traders can quickly send their goods to the market. 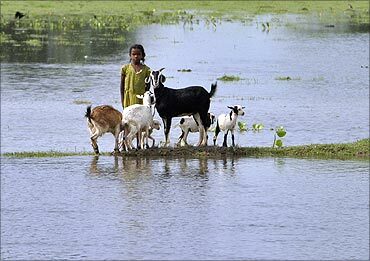 Image: A flood-affected girl stands with goats on the banks of Kosi river. The situation of roads is improving in the state. What was earlier a ride on the humps of a camel, now is as smooth as silk." "We even invested more than Rs 1,000 crore (Rs 10 billion) on development of national highways. This is not the domain of the state government, but still we did it. We wanted an improved standard of living for our people. So we did it," said Kumar. He said: "Today, people are talking about the development of Bihar. We do not want to take the credit. We just did and are doing our work. Actual work was done by the people of Bihar who voted for us. People of Bihar should be congratulated for the change. We are doing what we have been chosen to do." The business community of the state fully backed their leader for his development agenda. "The business community is firmly standing behind the state government in its development agenda. We are ready to put all our efforts in the development of Bihar. What makes a state or nation developed? Good government and clear path of development. Today Bihar has both of them. So, nobody can stop it now," said Bihar Chamber of Commerce President O P Sah. On the other hand, ex-president of Bihar Industries Association K P Jhunjhunwala said: "A few years back A P J Abdul Kalam visited the state. During his visit he gave the idea of Vision 2015. He called upon us to make Bihar a developed state by 2015. For that, he emphasised on three sectors -- agriculture and agro industries, tourism and human resource development. I, too, think these three sectors will open up new avenues of growth for Bihar." However, C K Mishra, Principal Secretary to the Industries Department, thinks the SME sector is going to be the key for the development of the state. He said: "We have to focus on what we have. Take the example of the food processing sector. We have almost infinite possibilities in this sector. Even today, almost 60 per cent of the population of the state is dependent on agriculture. 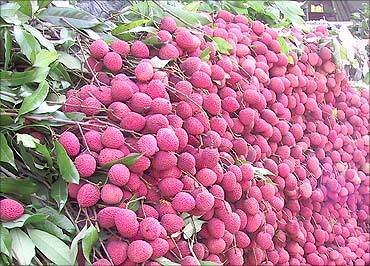 We are the largest producer of vegetables and second largest producer of fruits. If this sector grows, there is a good possibility that development can reach to the last person in the state." Jeevandas Narayan does not fully back the comments of Mishra. The chief general manager (Bihar-Jharkhand) of State Bank of India said: "Nobody can deny the role of SMEs in development, but we have to focus on big companies too. We have to make them invest in Bihar. They will bring the real economic development with them. They will invest heavily and it can provide hundreds of thousands of jobs. They can bring in many of their supporting units and competitors too. 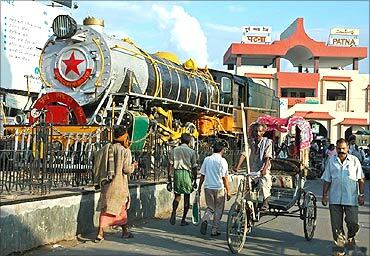 So, it is essential for Bihar to attract the big guns." One of the B-schools in the state, IIBM's managing director U K Singh emphasised the need for development of Information Technology in Bihar. He said: "Our boys are making it big in the world of information technology. To attract the big companies, we have to attract our kids to Bihar. Only then IT/ITeS companies will come to Bihar." "We are ready for this sector. 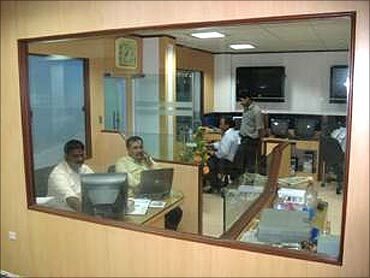 We are developing an IT Park in Bihta, near Patna. 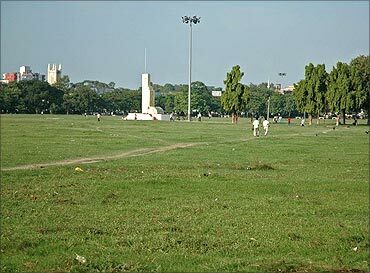 Infosys is going to open up an incubation centre in that park. However, discussions are still on in this sector. So, I cannot divulge anything more about it," said Mishra. Image: IT gets a boost. Everybody in the panel demanded more support from the central government for the development of Bihar. Sah said: "We desperately need electricity. Right now we are getting not more than 800-900 Mw from the central pool, which is much less than our requirement of 3,500 Mw. For faster development, we also need special category state status from the central government. Only then big money would start to follow." Image: More support from the central government for the development of Bihar. Nitish Kumar lambasted the Centre for not providing adequate support in the development of Bihar. "We could have done a much better job, had the Centre supported us. Last year, during the assembly elections, minister from the central government were saying about providing coal blocks. It makes no sense. If somebody is hungry, you cannot give him a land lease. He will need food. We do want coal blocks, but first our priority is coal linkage. Then only we can produce power for our state. Apart from it, we also want New Delhi's nod on ethanol production. It is not making any progress. This would have attracted investors, but we are stuck in the process."